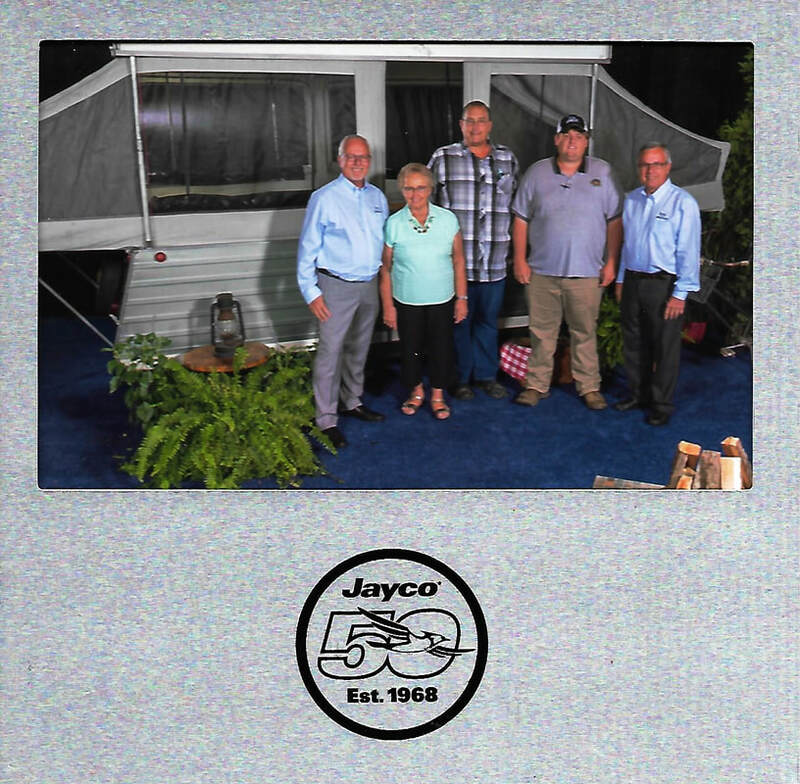 Marden’s Trailer Sales recently attended the Jayco Dealer homecoming and 50 Year anniversary of Jayco. The event was held in Indianapolis Indiana. Pictured left to right are Derrald Bontrager, Bertha Bontrager Rhodes, Steve Marden, Taylor Marden and Wilbur Bontrager. The photo was taken with one of the first Jayco units produced in the chicken coop on the Bontrager family farm. Marden’s Trailer sales is also celebrating 56 years in the RV industry as Montana’s oldest and most respected RV Dealership. ﻿Marden’s Trailer Sales﻿ was founded in 1961 by the late Darel Marden, a full time Great Northern employee, entrepreneur. In the spring of 1961 Darel had seen an advertisement for an 8’ pickup camper that was for sale. Darel had told a friend of his finding and his friend stated, "if I can physically see the unit I can build it". Darel and his friend decided to pool their money together and purchase one. When the unit arrived they parked it on the front lawn of Darel and Marie Marden’s home and while being parked on the lawn a person passed by and told Darel he wanted to buy the unit. Darel sold it to him and ordered another. For the next four to five years the Marden’s front lawn served as their RV dealership. They continued to move to different locations to accommodate the increasingly growing inventory that they had acquired. In 1972 they permanently moved their inventory to where they are presently located in Havre, Montana. In 1994 Marden's expanded their business and opened a dealership in Great Falls, Montana that was operated by Darel's son, the late Roger Marden. The business has been built on honesty and integrity and by following the motto, "we treat our customers as we ourselves would want to be treated". Marden’s originally sold the Red Dale product line for 18 years and after Red Dale went out of business, they acquired the Jayco product line and has been an exclusive Jayco dealer since 1980. Darel's sons Steve,Doug and Grandson Taylor currently operates the business. 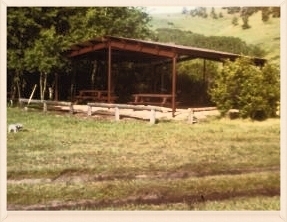 In 1977 Darel and Marie Marden along with the Happy Hi Liners Red Dale camping club hosted the Red Dale national convention at Kamp Kiwanis in the Bear Paw Mountains South of Havre. It was the largest convention ever and was attended by 185 units from all over the United States. It was the largest gathering ever held in the Bear Paw Mountains and holds that record still today. 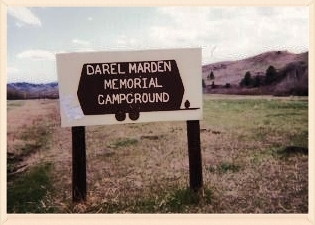 The construction of the Darel Marden Memorial campground began in 1981 after the passing of Darel Marden. 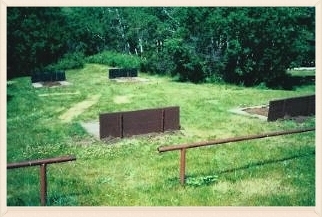 It was spearheaded by Darel’s wife Marie and the Happy Hi Liners Red Dale camping club. To this day it is one of the premier camping spots in Beaver Creek Park 20 miles South of Havre, Montana.